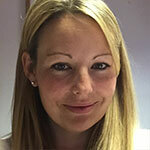 Leanne has over 10 years’ experience of working with children and families. She studied child development and then completed a BA (Hons) in Child and Youth Studies. Her most recent role has been as a senior family support practitioner within a local authority working with complex families at risk of breakdown. Leanne has experience of working with multi stressed families where domestic violence, drug use, anti-social behaviour and school refusal are key factors. Leanne has practiced NVR methods for a number of years and is an instrumental figure in gaining it’s recognition throughout the local authority.